← We’ve got your favorite T-shirt… you’ll wear it first out of the wash every time! 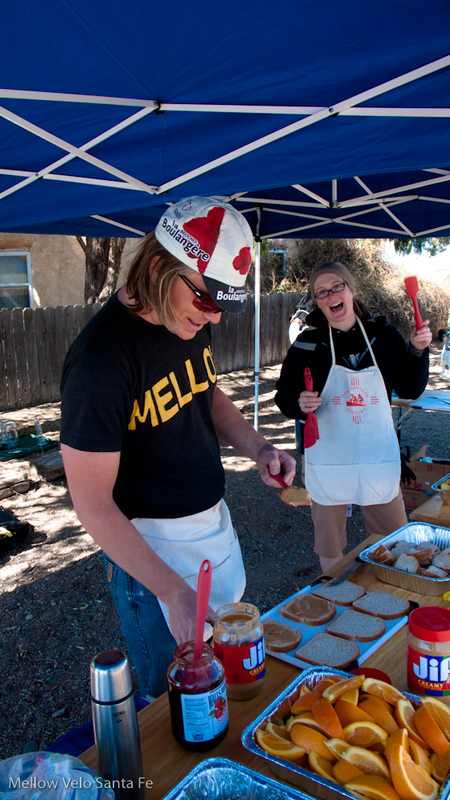 … blue steel Olmo for an outstanding bike killer, a lipstick red, lugged Cinelli SuperCorsa, and PB and J ’til you bleed! 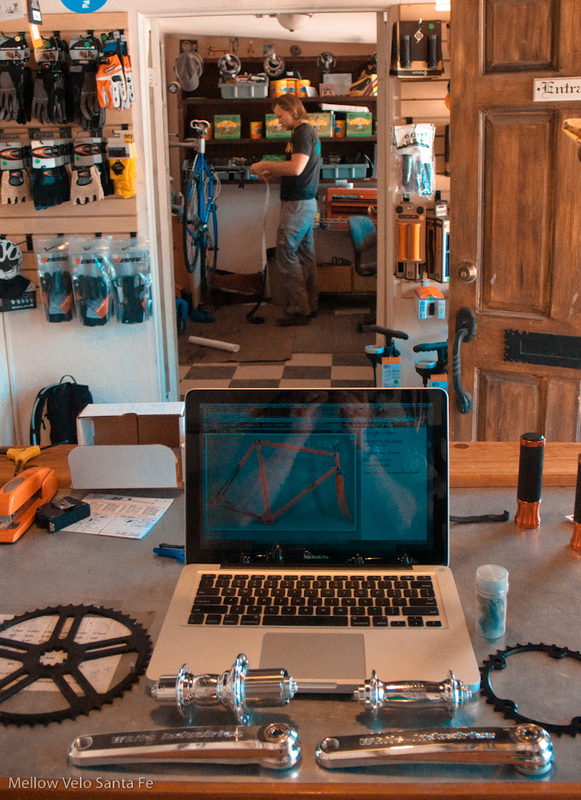 One project after another, David Bell finishes the "Bike Killer's" blue Olmo while I make sure we have all of the SuperCorsa's White Industries components. The end result is a beautiful Olmo San Remo for a guy who has broken every Carbon bike he has ever owned! 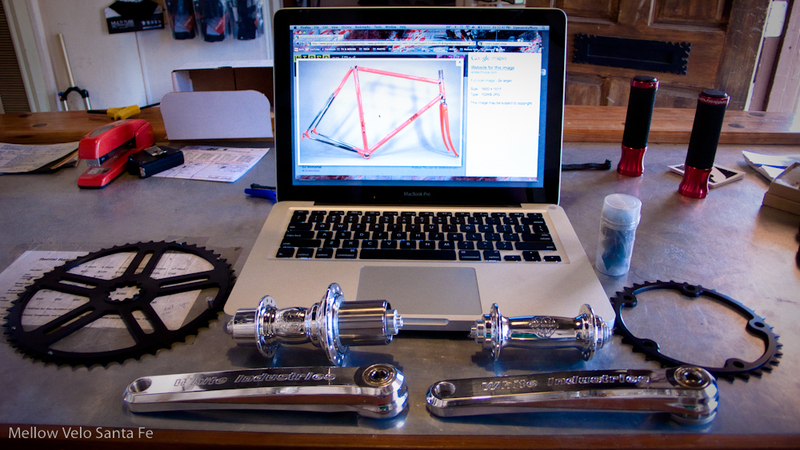 The next project... a Cinelli SuperCorsa that we had to get this done before the fast-approaching Century weekend! 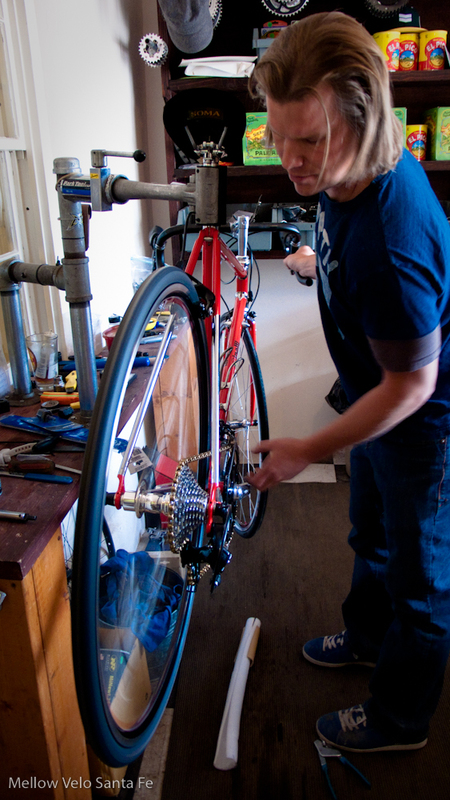 The boss meticulously assembles the Cinelli. 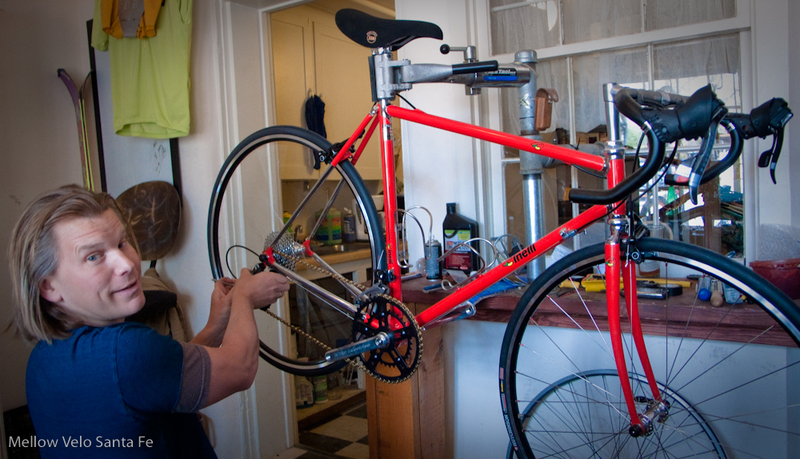 David puts the finishing touches on this lovely machine. 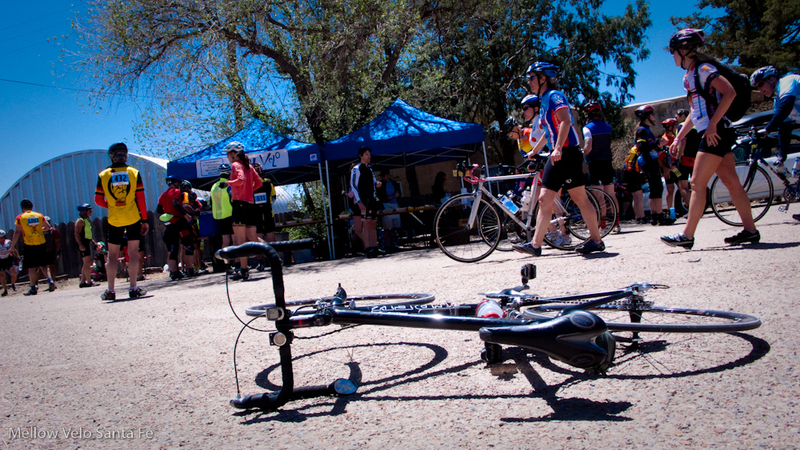 We LOVE to create happy cyclists... there goes another one! 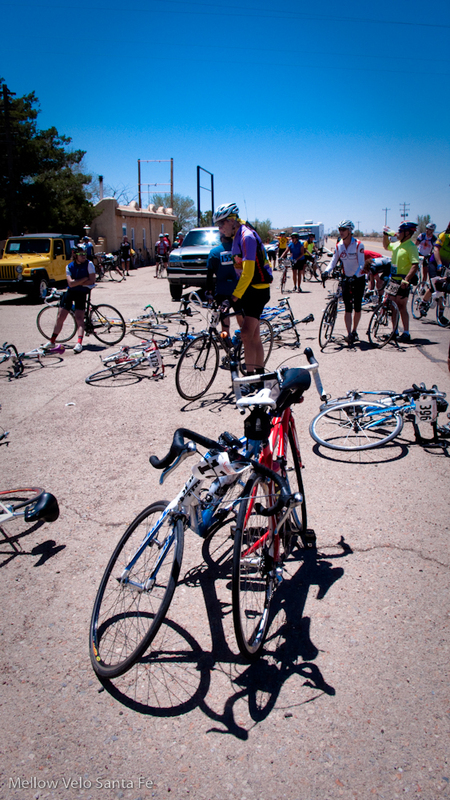 We got to the Stanley rest stop to provide snacks for the Santa Fe Century riders on Sunday. 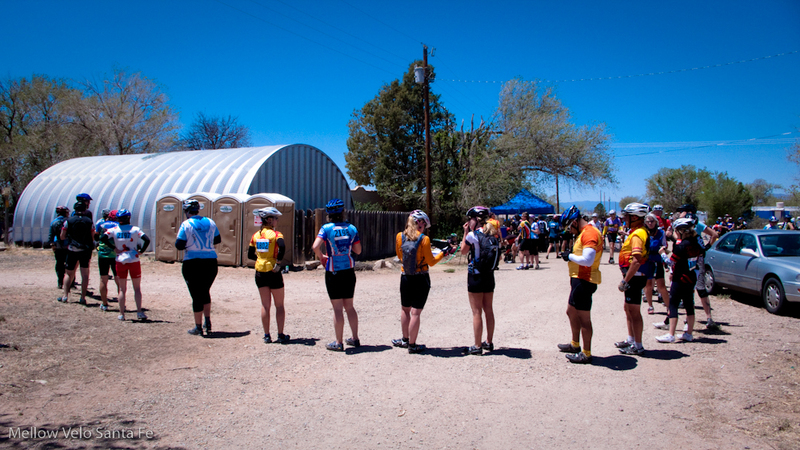 The starving Century riders were really happy to come to such a happening rest stop, complete with dance music! The lines for the Porta-Potties were pretty epic throughout the day. 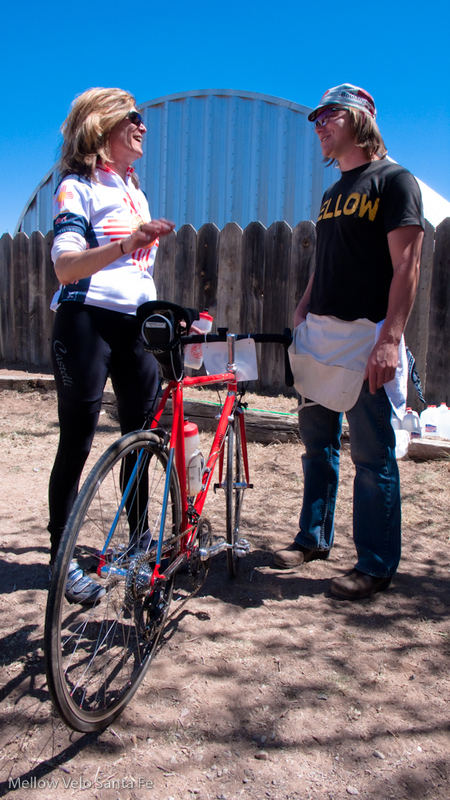 Karen stopped by to tell us how much she loves her new Cinelli SuperCorsa... the word effortless was used to describe how it climbed "Heartbreak Hill." It’s been so busy… and we have so much to update you on… STAY TUNED! 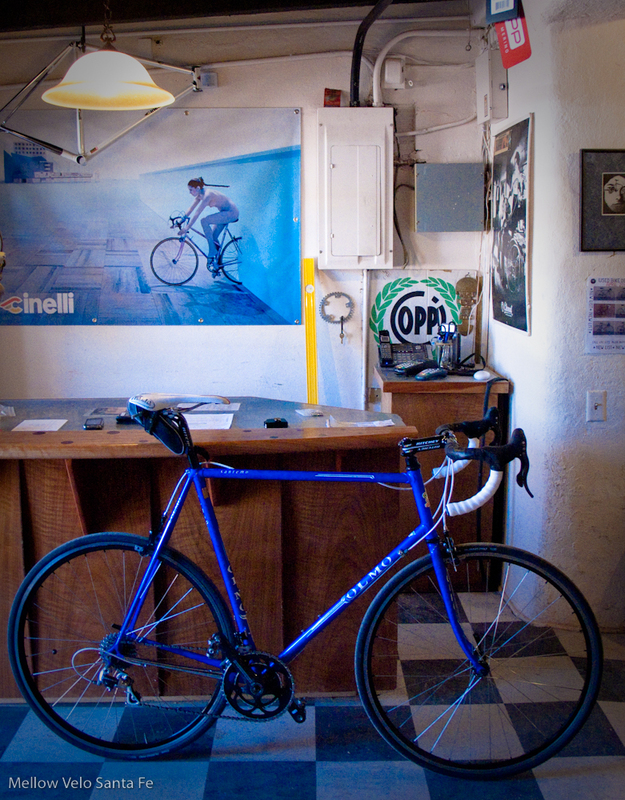 The Olmo looks and rides like a dream. 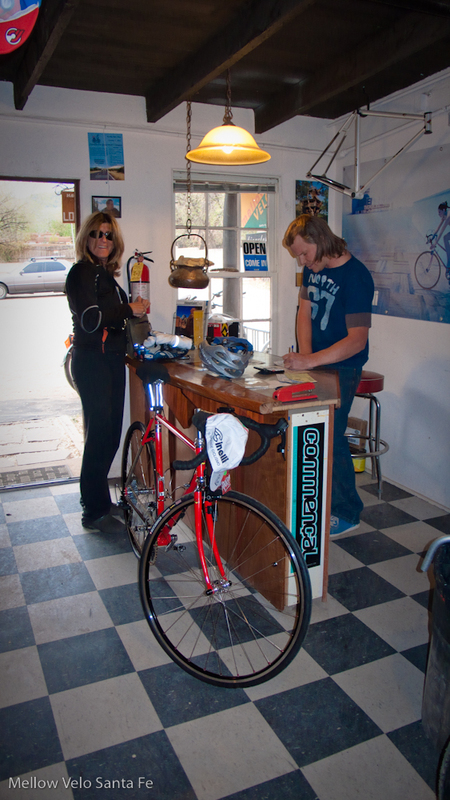 Thanks Mellow Velo.